Showcasing the conclusion of writer Kurt Busiek and artist Cary Nord?s groundbreaking work on the series, plus the inaugurations of fan favorites Timothy Truman and Tom?s Giorello, this volume includes adaptations of ?The Tower of the Elephant,? ?The Hall of the Dead,? and ?Rogues in the House.? 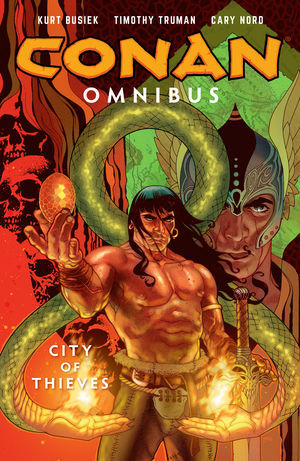 * Features the conclusion of the legendary run by Eisner Award winners Kurt Busiek and Cary Nord! * Special guest appearances by Michael Wm. Kaluta and Mike Mignola!